The road trip was one of the best parts. It’s a 12 hour drive from Denver to Scottsdale and we broke it up into 2, 6 hour days. It really flew by! 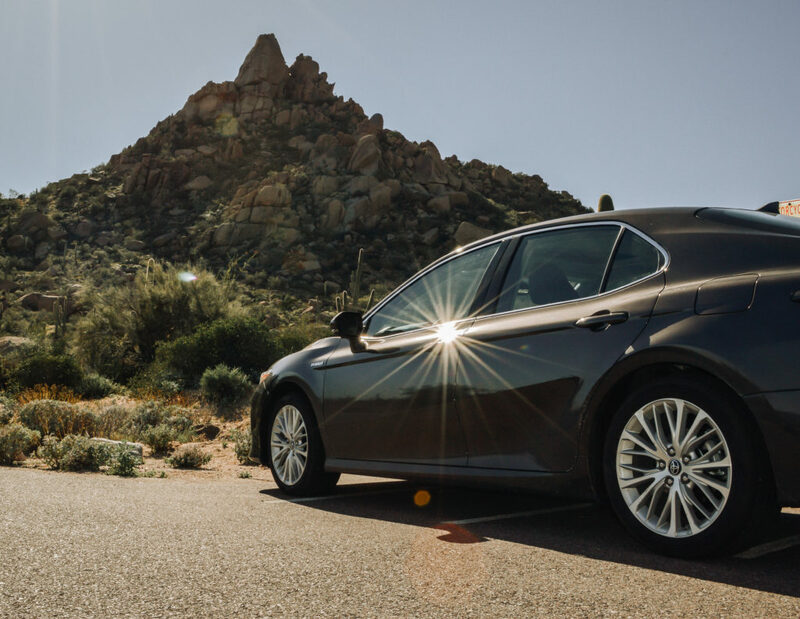 We spent our time, talking, laughing, eating, listening to podcasts, and really learning about and enjoying the Camry! First up, the gas mileage. 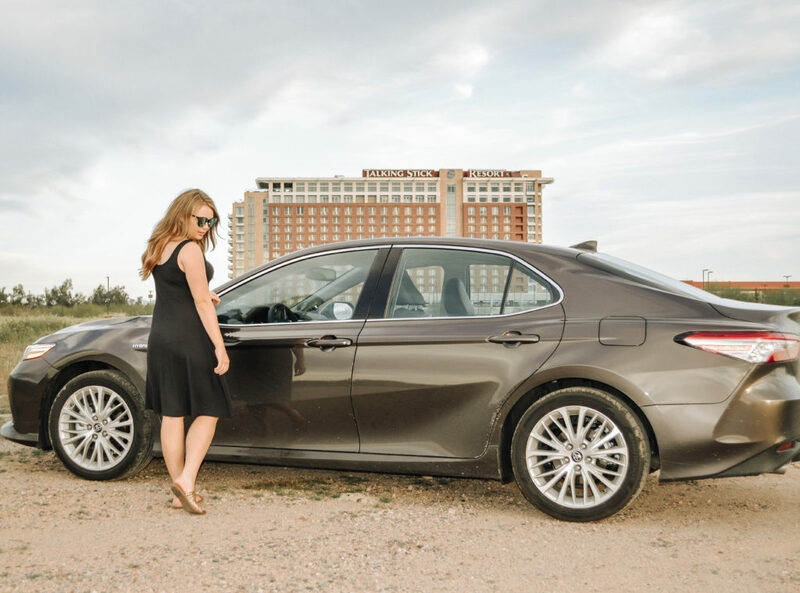 The Camry XLE is a Hybrid and can get up to 46 miles to the gallon. Our 12-hour trip to Scottsdale cost us $60 TOTAL. The gas mileage is incredible. It also has a hybrid synergy drive system which is a total game changer for gas mileage and efficiency. It has 4 different drive modes, EV, ECO, normal, and sport. 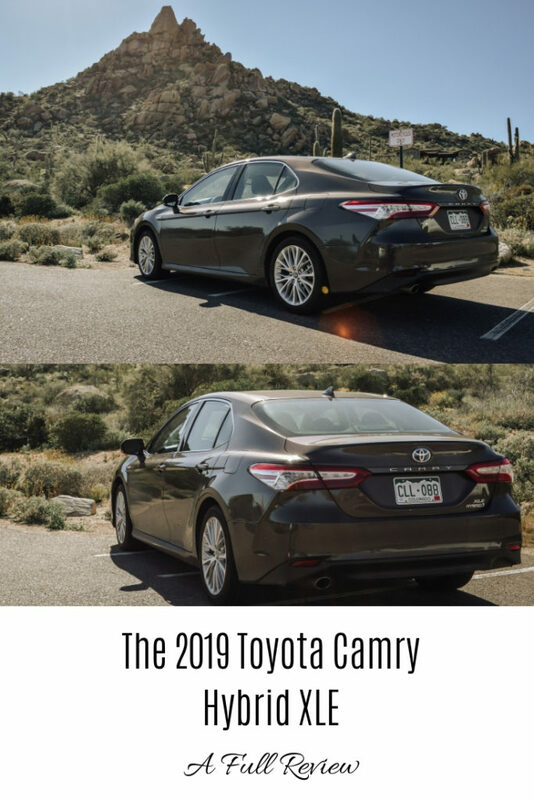 The 2019 Toyota Camry Hybrid comes with Toyota Safety Sense which we loved. It has a blind spot sensor with rear cross traffic alert which alerts you if you’re trying to merge or back up and there’s someone in your blind spot. Can you imagine how many accidents these types of features are capable of preventing? It’s equipped with 10 airbags and has a star safety system. We also really loved the killer cruise control on this car, a must for road trips! 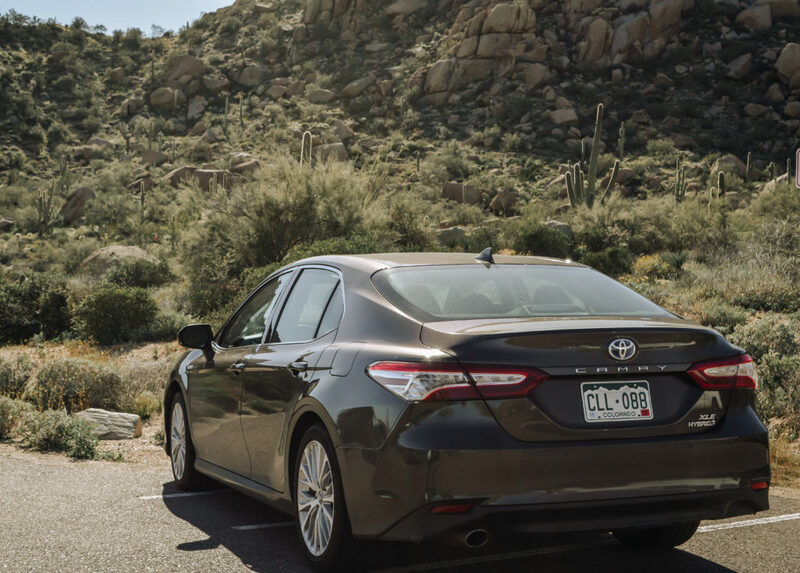 The 2019 Toyota Camry Hybrid was so easy to drive on long highway stretches and put it into cruise control and give your foot a break. 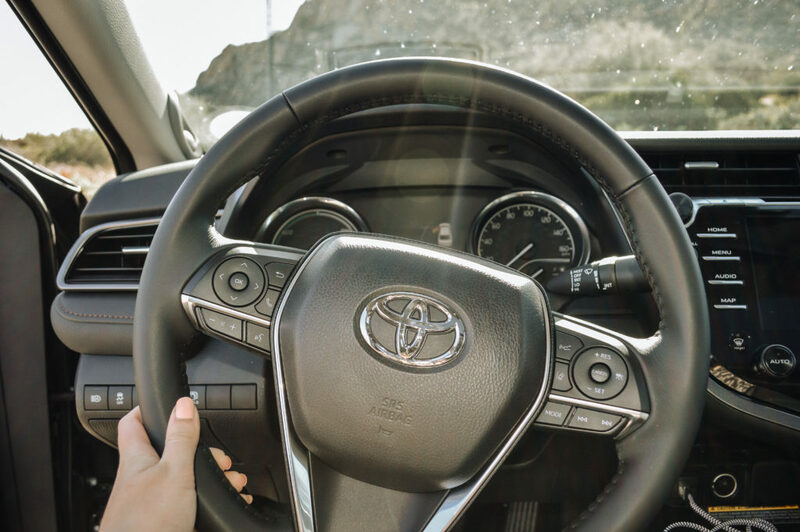 The cruise control also came equipped with its own safety measures and would slow itself down if you started coming up too fast on the car in front of you. 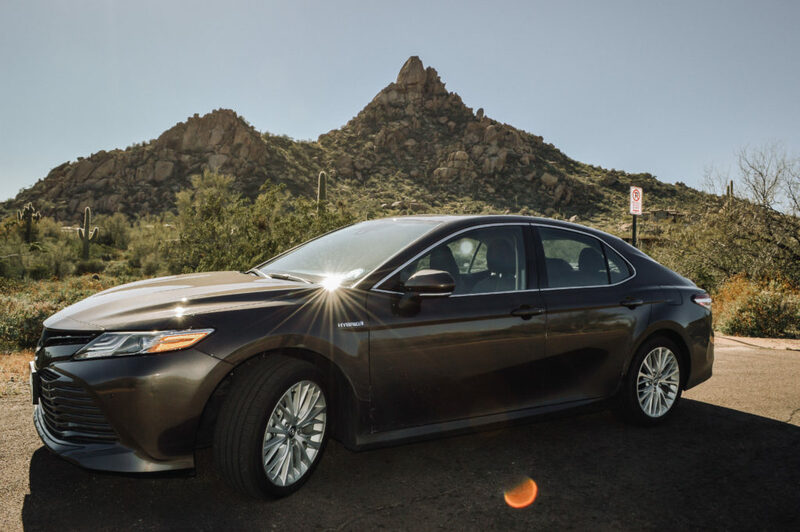 Inside, the 2019 Toyota Camry Hybrid has a smart key system with push button start, rear seat vents and heated front seats, and a power-tilt slide moonroof. 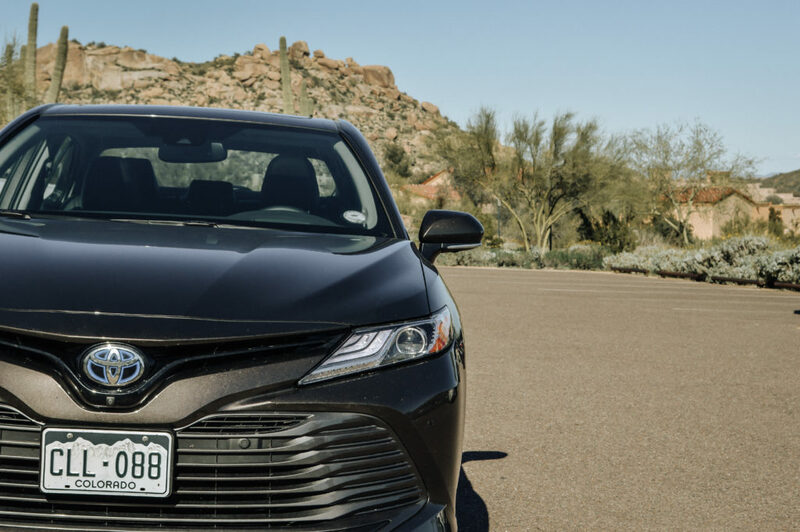 The technology on the 2019 Toyota Camry Hybrid is incredible as well. 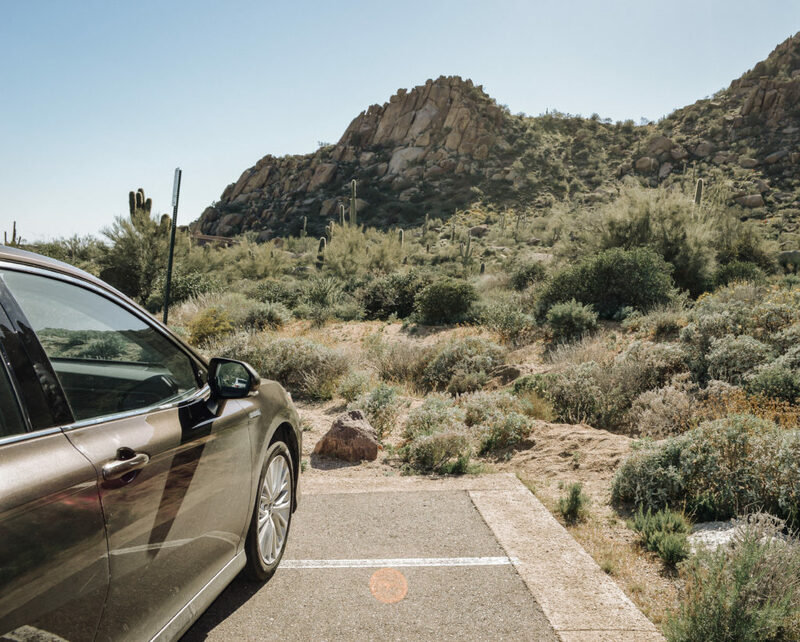 It has a hybrid energy motor, Entune 3.0 with App Suite, it’s Apple Car Play compatible (huge plus if you’re an iPhone user like we are), and has WiFi connectivity! 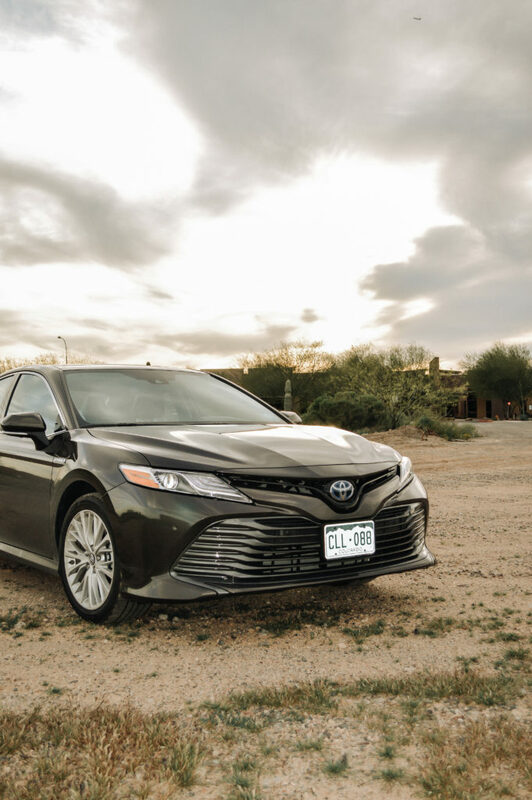 The 2019 Toyota Camry Hybrid was amazing. 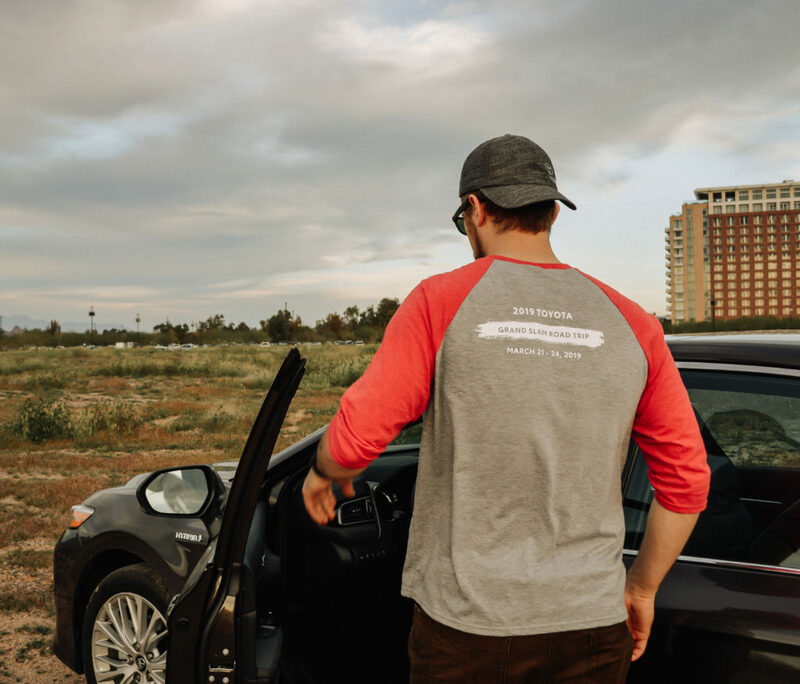 The gas mileage, safety features, and technology cannot be beat. 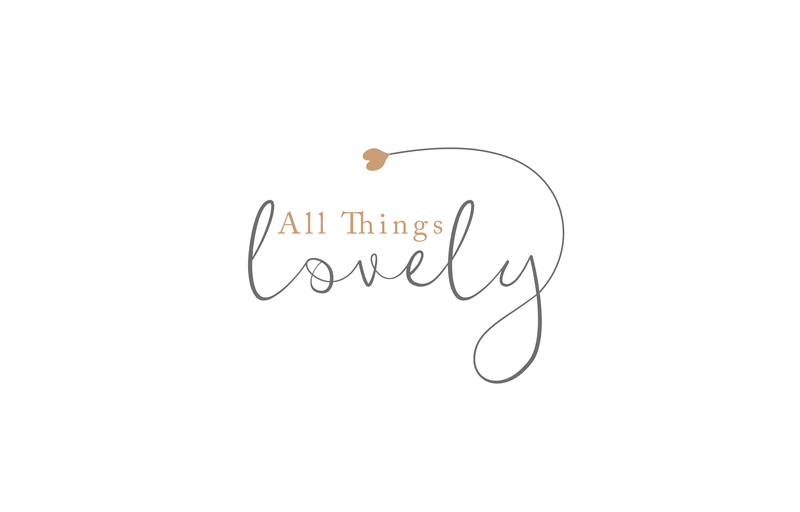 We miss it every day! I would highly recommend this car to anyone shopping for a new sedan. Cars with safety features like these would be great for young drivers still learning the rules of the road. 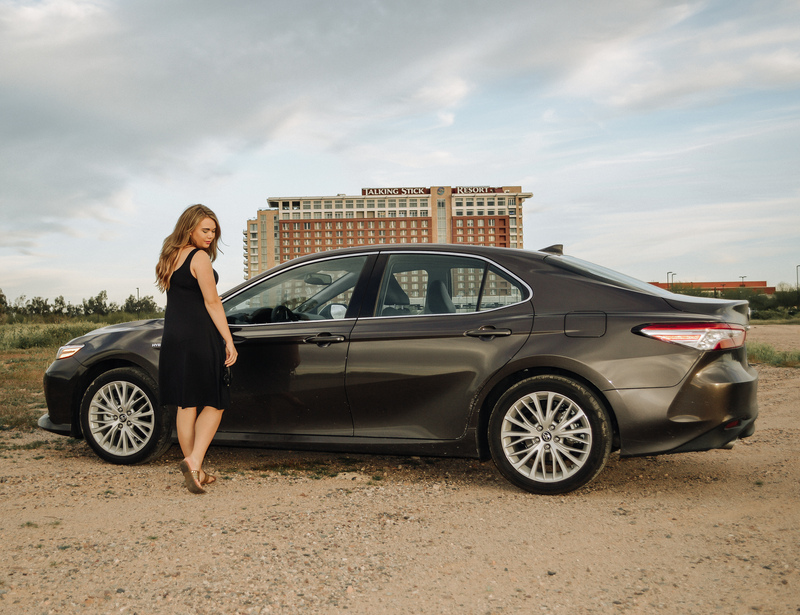 The 2019 Toyota Camry Hybrid XLE is an amazing car!